Glen Window Cleaning Ltd is a family run business started in 1950 and operating in the North East of England. The core body of our services centre around the retail sector and the restaurant trade, where our considerable expertise is in demand in such a visually hygienically focused industry. We also have a portfolio of contracts ranging from small residential blocks to large commercial office centres. 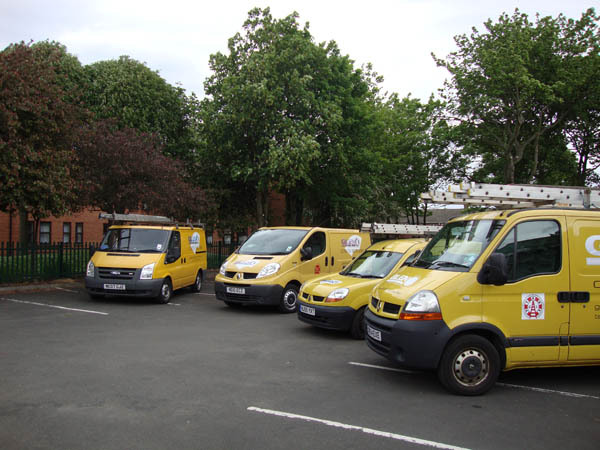 We operate a fleet of vehicles all equipped with pure water fed pole systems and cover the whole of the North East. All our staff are highly skilled, trained, CRB checked and fully insured, and all wear company uniform carrying our distinctive logo. We have a 100% record in Health and Safety and are committed to having the highest of standards in place at all times. We offer a reliable, cost effective service backed up with the honesty and integrity you expect. We couldn't have been in business for over 60 years without these high values and take great pride in maintaining them.